Are you one of those people who consider creativity to be connected to playing a musical instrument, or having artistic abilities? Yes? I felt that way for most of my life, looking to the musicians and artists, etc. as the “creative ones.” Here is the reality -- each of us has the ability to be creative...and...each of us benefit greatly when we tap into our individual creativity and bring it into our daily existence. Let’s look at some examples that may open some possibilities for you. One of my dear friends who lives in Idaho finds her creative self when she gardens. The product of her creativity is a haven for us to visit -- beautiful and calming. Another friend enjoys needlework, both for relaxation and also for what she brings forth. Another expresses her creativity through her cooking, creating new dishes that support her vegan lifestyle. One of my own recent creative ventures is cake baking. Now, this activity is reserved for birthdays and other special occasions, when I can delight in spotlighting the holiday with the cake decorations. It is definitely not one that would serve me well to do on a regular basis! There doesn’t have to be any one activity that you go to. In fact, I find it more fun to find new ways to be creative. For example, when we have a dinner party, I love to set the table with items geared to the time of year or the occasion. Finding new pathways to creativity will open different parts of your brain, as well as bring more fun into your life. This week, seek out ways to express your own creativity and make a commitment to some sort of creative expression each day. Just 10 minutes will do the trick! 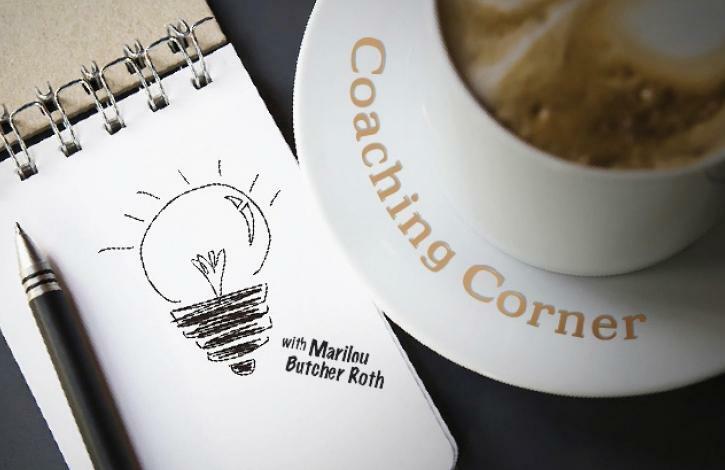 Marilou Butcher Roth is the owner of The MBR Group, a coaching and training company working primarily with REALTORS who have a desire to work and live from a more inspired place. She is also the Broker/Owner of Group REALTORS in Cincinnati.